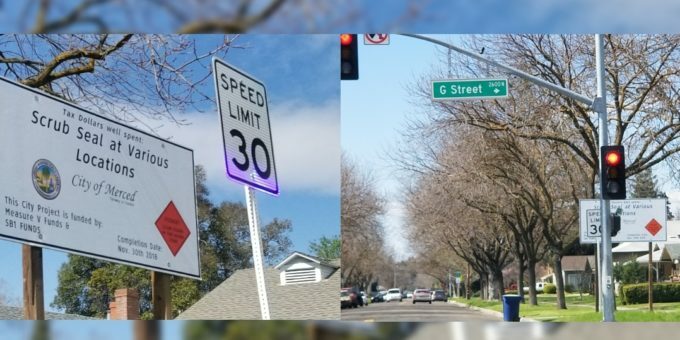 Merced, CA- We have received several complaints about road repairs in Merced, the community is asking if we can let the City know what are they going to do about it? One resident did say, “Go drive down West 26th Street near John Muir Elementary School. The city of Merced did several scrub and seal on various locations, mostly around school areas using your Tax dollars, SB1 and measure V funds. The completion date was scheduled completed in November of 2018, signs are still up till now on several locations throughout the City. We have messaged the City about this, and we will update if we get a response back from them.